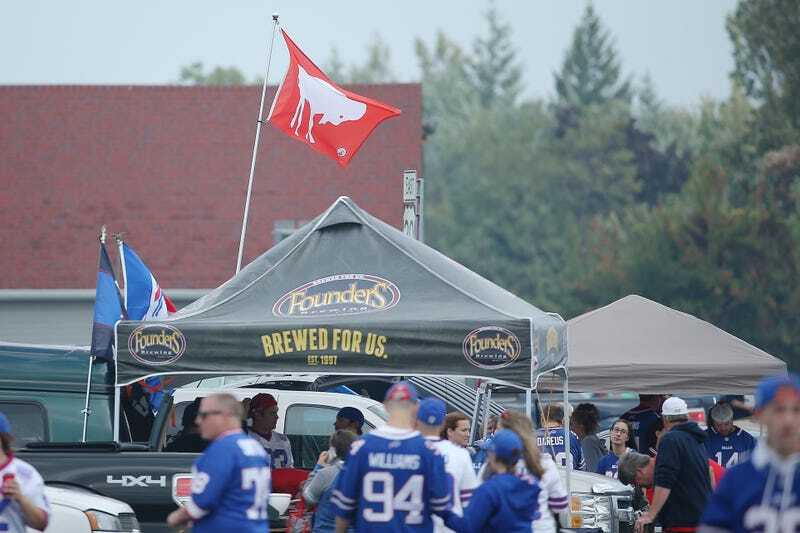 On Saturday night, an RV lot near the Buffalo Bills’ stadium was packed full of tailgating fans preparing for the team’s first game of the season. Around 10:20 p.m., one of those fans shot and killed himself, according to police. One woman saw the man collapse, but thought he had just fallen down. “I heard a ‘pop’ and looked down,” said Steve Trow of Ohio. He then saw a man on the ground and people trying to revive him. When police arrived, they told everyone to go back into their campers, said Perry Carter of Angola, who saw a handgun next to the victim. Fans said they did not recall seeing or hearing a confrontation before the shooting. It left them more perplexed about what prompted the incident. “They had disco lights and a DJ going,” Carter said. The scene was cleared by Sunday morning, and fans were allowed to remain in the lot and tailgate like normal.